Melania Trump has rejected suggestions that she violated visa rules when she started working as a model in New York. In a statement, Donald Trump’s said she had followed immigration laws “at all times”. Melania Trump has yet to clarify what type of visa she used during a 1995 photo shoot in New York. The Republican candidate has taken a hard line on illegal immigration in his campaign. So far, the Trump campaign has refused to say exactly which visas Melania Trump had, and when she had them. The development comes during a turbulent week for the billionaire property developer. There are reports of deep divisions in the GOP after a series of controversial statements by the nominee. Melania Trump said she began working as a model in the US in 1996, but photos published at the weekend by a New York tabloid appear to have been taken in 1995 for a now defunct French magazine. This discrepancy has raised questions about Melania Trump’s immigration status at the time and whether she had the right to work. Paolo Zampolli, the owner of one modeling agency, says he sponsored Melania Trump for an H1B work visa in 1996. 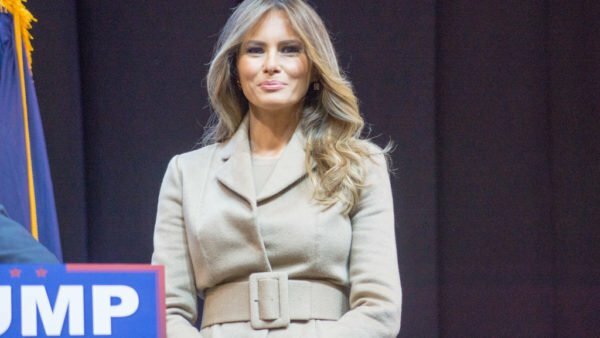 Melania Trump has said that she had to go back to her native Slovenia every few months to renew her permit – something that is only generally necessary for tourist and business visas that do not permit work. Donald Trump has also railed against the use of the H1B visa specifically, suggesting abuse of it is widespread and rampant.